Welcome to the beautiful new model home at Oxmoor Village in the quaint Oxmoor Valley. We know you’re just gonna love our new craftsman bungalow home community. This Tower Homes neighborhood is superbly nestled just minutes from Red Mountain Park, Downtown Birmingham, Robert Trent Jones Golf Trails, West Homewood Park and more! 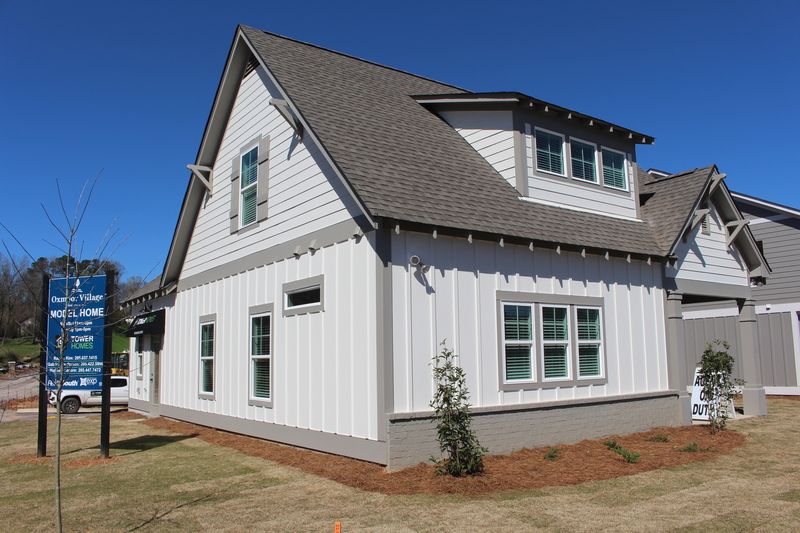 Be sure to stop by and check out our new model home today at 2702 Wenonah Oxmoor Rd. This model home plan is one of the spacious floor plans available in Oxmoor Village. With its whimsical charm of the Craftsman bungalow style, this home will make you say WOW! 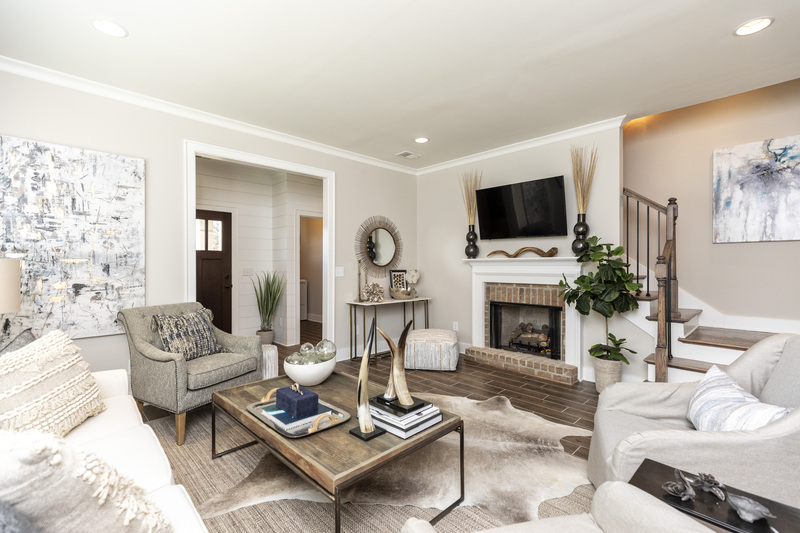 This 3-bedroom, 2.5 bath open concept floor plan features granite countertops, stainless steel appliances, hardwood flooring, shiplap, reclaimed wood details, and more. With an open concept main living space, you’re sure to be the best host on the block. 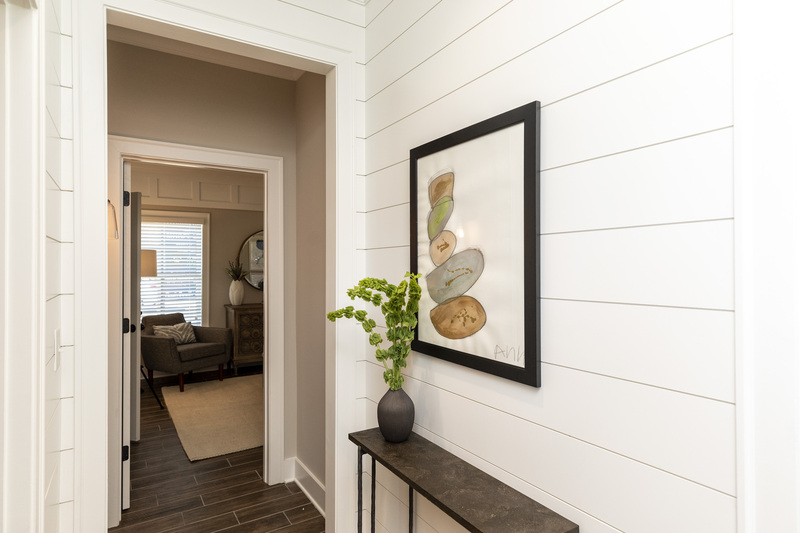 The foyer welcomes you with charming shiplap accents that can be seen all the way through the family room to the kitchen island. Even the powder room is dressed in rustic reclaimed wood. Sunlight beams through the living room inviting you into the spacious kitchen. Equipped with white Shaker-style cabinets complete with under and over lighting and trim, granite countertops, durable subway-tile backsplash, GE stainless steel appliances with a gas top range, a Moen faucet, a large kitchen island with shiplap, and much more. The open style kitchen is perfect for entertaining. 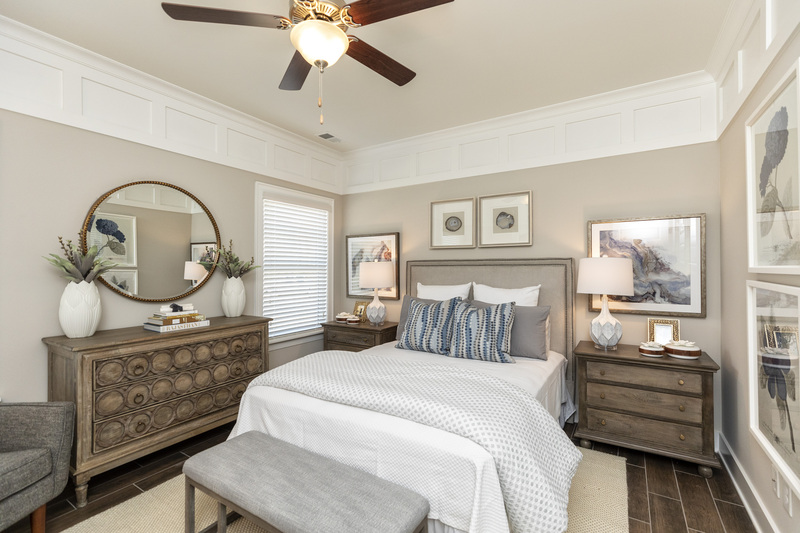 Tucked away on the main level, the Master bedroom is complete with extravagant box trim crown molding, ceramic planked tile throughout and a walk-in closet plus ‘his’ closet to keep your fashion organized. Even the Master bathroom has plenty of natural light! Embellished with a double sink granite vanity, tiled shower, and beadboard accent mirrors. And for added convenience, the laundry room is just a few steps away. You will find two additional bedrooms with spacious walk-in closets, a full bath, and loft space on the second level. This model features hardwoods throughout the upper level and a glamorous marble tiling in its full bath. Our Phase I homes are true American Craftsman style homes with a one car garage in the rear. This modern feature allows for residents and their guests to have easy parking access in their driveways and a private back alley. This not only provides added safety but is great for home values as it does not take away from the charm or curb appeal. Upon completion, the homes in Phase I will have a picket fence that will wrap around the front yards parallel to a sidewalk leading to the Oxmoor Community Center. Infused with our commitment to build the BEST, we take great pride in our building standards, energy efficiencies, selections, and total value. Our homes are built with over 100 BEST building standards and are energy efficient. 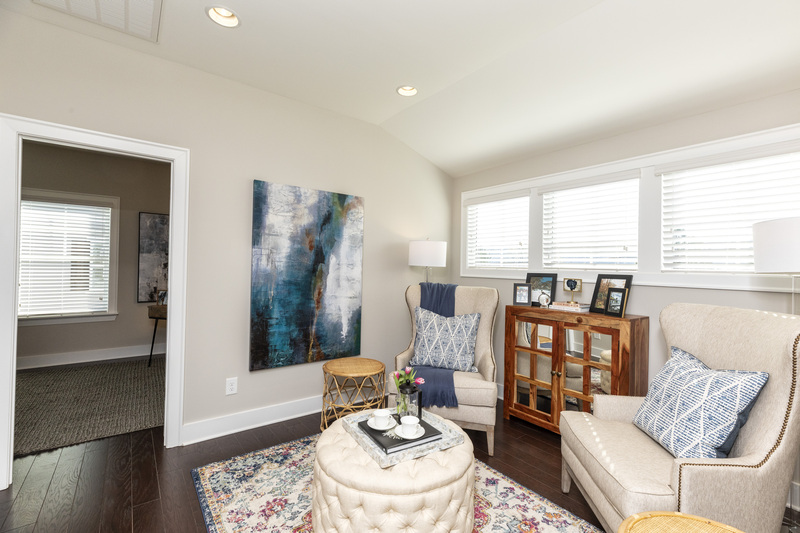 Homes at Oxmoor Village feature insulated windows, high efficiency 14 seer HVAC with a programmable thermostat, insulation in all exterior walls, and radiant barrier roof decking. Additionally, each home will come protected with a one-year builder’s warranty. Schedule your tour of our model home in Oxmoor Village of Oxmoor Valley today. Our professional designers will help you customize your dream home in our State-of-the-Art Design Studio. Our dedicated Birmingham sales team is on site daily. They’re ready to help you, so call them today!